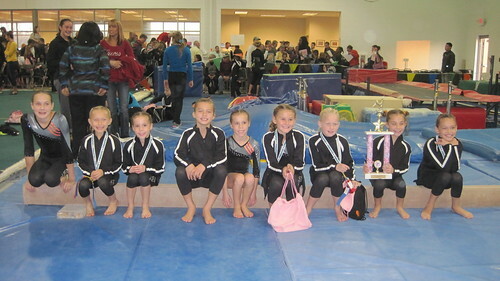 A few weeks ago our Level 3,4, and 5 Girls at the Lafleurs Sweetheart Invite and had a great meet. Our Level 4 Team took home a 3rd Place Trophy. Here are our gymnasts who finished on the podium. Previous PostHEARTland medals…Next PostLevel 4 Girls Take 1st Place at WCGC…. & Level 5’s Take 3rd!! !